Best practice should be followed to get the most out of your crop. 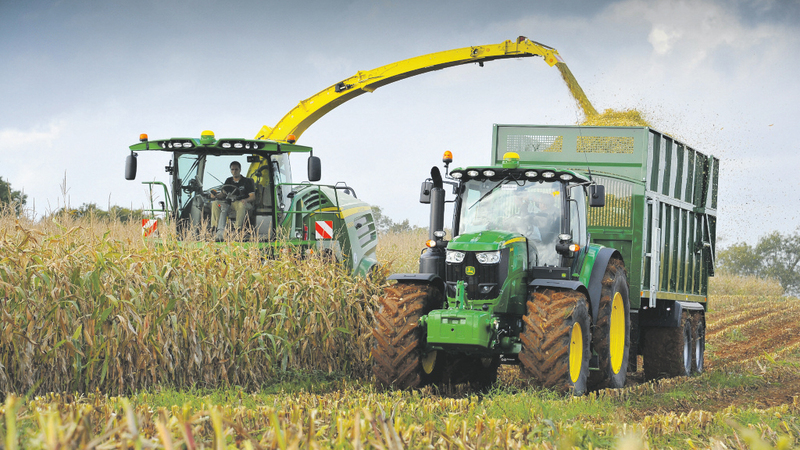 Maize silage is particularly prone to aerobic instability due to its high energy, and according to Ecosyl’s forage manager, Derek Nelson, wastage can be as much as 20- 30% dry matter between fermentation and field losses. He says: “A 1% rise in temperature above ambient typically results in a 0.23% loss of dry matter – so it is easy to see how the losses can build up, often unnoticed. Fill the clamp quickly and build it up in small layers. Roll each layer from the first load to the last. Seal well, with at least two covers and plenty of weight on top. Likewise, at feedout, Mr Nelson advises moving back through the face as quickly as possible and ideally using a block cutter or shear grab. To improve the fermentation process and further minimise aerobic instability, he recommends using a proven silage inoculant. “For maize silage, Ecocool is our best option – it contains lactic acid bacteria to speed up fermentation and minimise ensiling losses, and also Lactobacillus buchneri which inhibits yeast and mould growth. 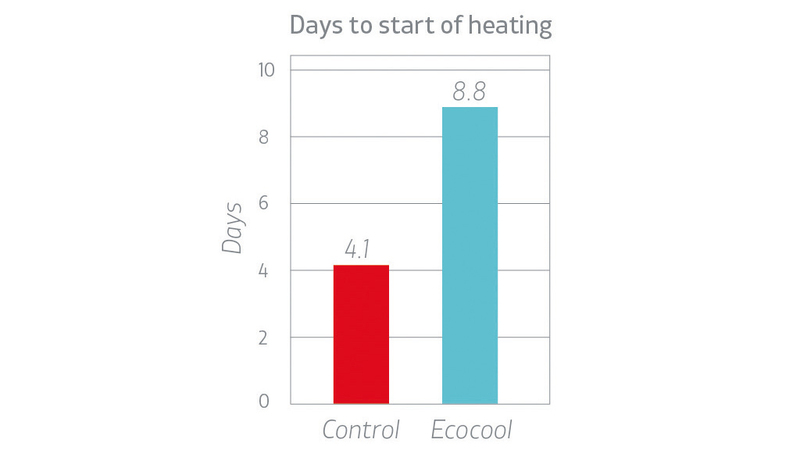 The trials we have carried out suggest this product can delay the heating process by an additional 4.7 days. (See graph). Mr Nelson adds: “At the end of the day, none of these suggestions are particularly costly, but if done properly they can make a significant difference to the quality and yield of the silage – reducing wastage from 20-30% DM down to 10%. “Weather dictates how well the crop will grow, but once harvested the challenge is getting the most out of every tonne grown, and preserving as many nutrients as possible which can then be turned into milk. Ecosyl is a sponsored article brought to you by Volac.